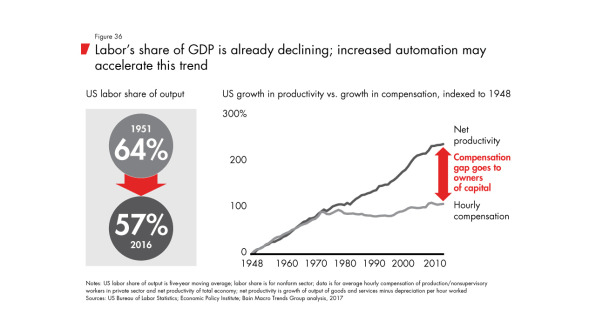 Automation (will) speed up (because) companies are likely to face a shortage of workers, encouraging them to invest in machines (and) automation is becoming more sophisticated, enabling companies to shift more roles more cheaply. It will boost productivity and short-term profits. 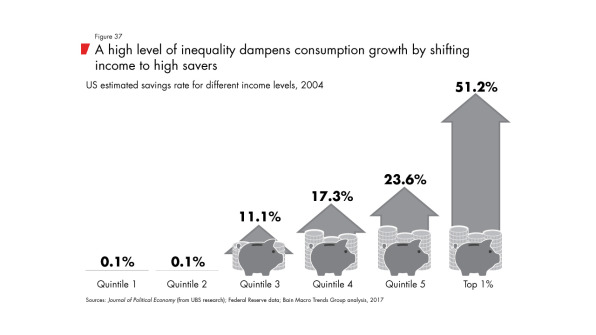 (But), it will hollow out demand: Fewer workers means fewer people with the means to buy products. 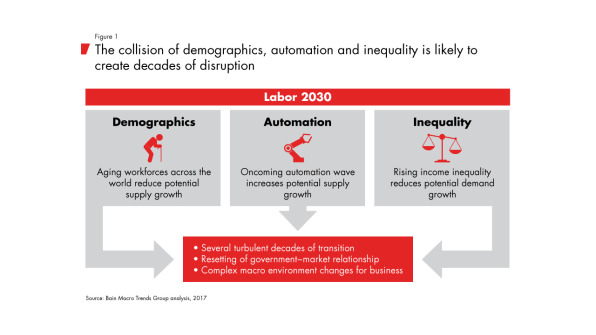 25% of the workforce equates to 40 million lost jobs. The recession from 2008 to 2010 eliminated 9 million jobs, 6.3% of U.S. employment. 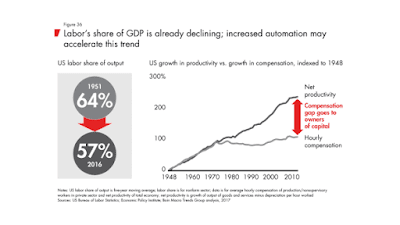 Automation's benefits will go to investors and top 20% of workforce.